This has been in the top 10 list of the most avoidable models. No one wanted it until have to let go by free. It is created by Jun Imai into 2008 First Edition with 3 colours, Green, Red follow by White. Imai printed his name on the body (see the white line)"Imai Turbo 5150". If you wonder who is Imai, he is the designer for Corvette C6R, Custom '77 Dodge Van, Subaru WRX and one of my favourite Toyota Corolla AE-86. 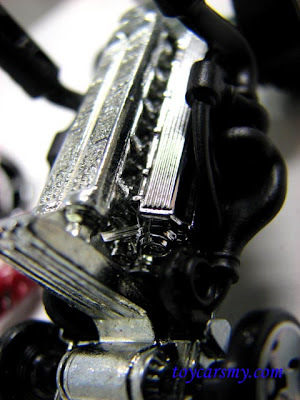 The diecast made by almost 85% of metal, except the exhaust and wheels, everything is metal. 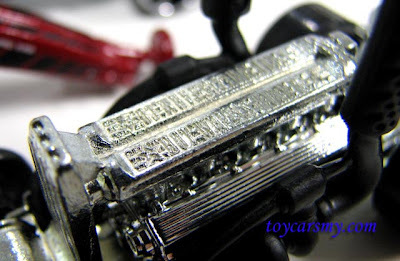 The engine cover is detachable, with that, you can see the hidden words engrave on the engine head "Hot Wheels Farm Co.", a joke from Imai? Verdict: With the bad acceptance of the model, will it debut again in the future? I hope designers should have a discussion on this. I like: When you see it without the blister pack, it is actually nice. I will fully "utilize" it in my coming custom. I dislike: The detachable engine cover not "friendly" to my son, It actually mentioned on the card. 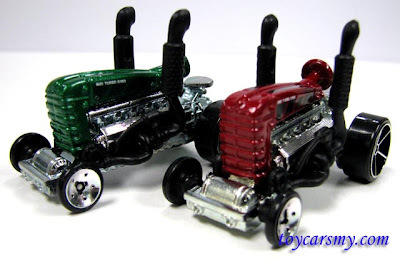 so whats the other 9 most avoided hotwheels?